Brain surgeon Allen Wyler has written a thriller on the bleeding edge of new-millennium hospital technology. When a brain surgeon discovers that a revolutionary computerized medical-records system is responsible for a series of patient deaths---and threatens many more---he must navigate a treacherous maze of conspiracy. And risk his life to expose it. * A comatose man is given a fatal dose of insulin in the Emergency Room---even though he isn't diabetic. * An ulcer patient dies of hemolytic shock after receiving a transfusion---of the wrong blood type. * A recovering heart patient receives a double dose of the same medication---triggering a fatal cardiac arrest. When the doctors and nurses at Seattle's prestigious Maynard Medical Center start making preventable drug and treatment errors that kill their patients, neurosurgeon Dr. Tyler Mathews suspects that something is murderously wrong with the hospital's highly touted new "Med-InDx" electronic medical record. But when he airs his concerns to the hospital's upper management, he's met with stonewalling, skepticism---and threats. Millions of dollars, and the future of Med-InDx, are at stake. And powerful corporate forces aren't about to let their potential profits evaporate. Tyler soon finds that his career, his marriage, and his very life are in jeopardy---along with the lives of countless innocent patients. --D.P. 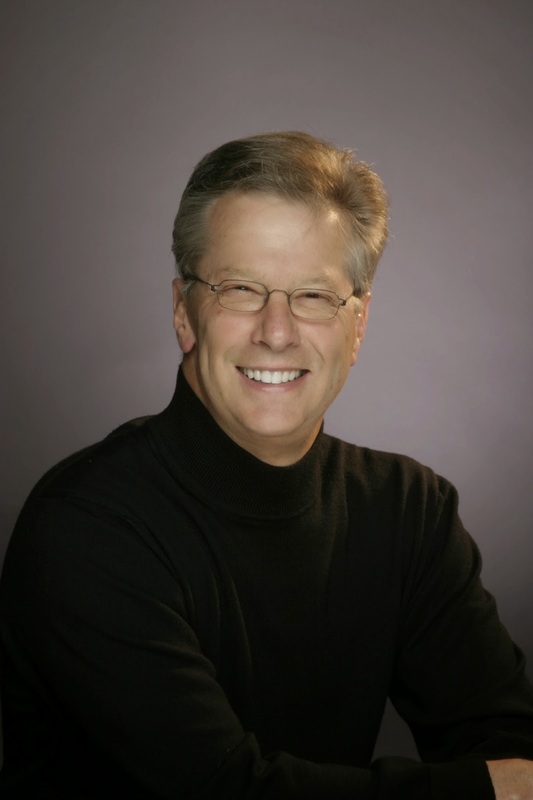 Lyle, award-winning author of, Hot Lights, Cold Steel. When a top secret program of implanting harrowing memories into innocent people comes to light, neurosurgeon Tom McCarthy is literally caught in the crossfire. While McCarthy looks forward to a three-day weekend, his office is suddenly raided by two Department of Defense investigators bent on arresting him for a crime he didn’t commit. All hell breaks loose when an inadvertent scuffle escalates, leaving one agent dead at the hands of the other, and McCarthy fleeing but hopelessly trapped inside the labyrinthine corridors, heating ducts, and stairways of a gigantic Seattle medical center. With the CIA and Seattle PD closing in, McCarthy unwittingly pulls Dr. Sarah Hamilton into the fray. And like rats in a maze, they struggle to stay one step ahead of their deadly hunters, while simultaneously uncovering a trail of corruption that reaches shocking dimensions. 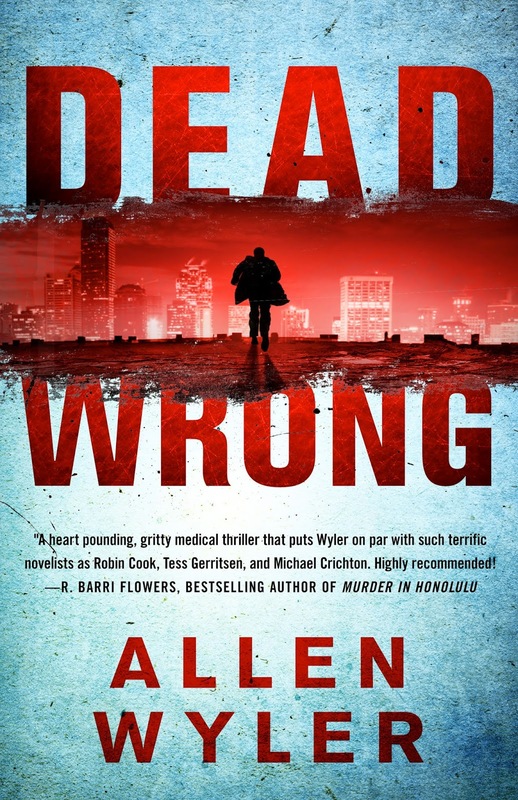 Penned by master neurosurgeon, Allen Wyler, DEAD WRONG brings the reader inside the world of an insidious and terrifyingly plausible narrative, to create a heart pounding, claustrophobic and nightmarish thriller. Leveraging a love for thrillers since the early 70’s, Wyler devoted himself to fiction writing in earnest, eventually serving as Vice President of the International Thriller Writers organization for several years. 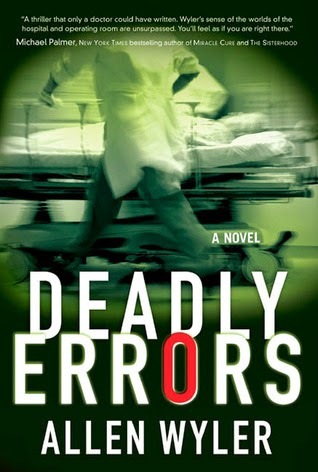 After publishing his first two medical thrillers Deadly Errors (2005) and Dead Head (2007), he officially retired from medicine to devote himself to writing full time. He and his wife, Lily, divide their time between Seattle and the San Juan Islands. WANT TO WIN THIS AWESOME BOOK? Open to anyone WITH A US MAILING ADDRESS, PO Boxes OK! Giveaway was organized by BookHounds and sponsored by publisher.